The Chabad Early Learning Center, in Manhattan’s Upper West Side, has approximately 120 students enrolled from diverse economic backgrounds. Our annual fundraiser helps the school provide a robust, enhanced, high quality early childhood education to our children. We appreciate you taking the time to consider a donation. Your contribution will be acknowledged in our fundraiser catalog and newsletter. 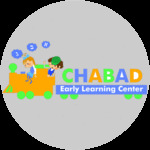 Chabad Early Learning Center, Chabad of the West Side, is a 501c(3) non-profit organization and all donations are tax deductible to the fullest extent allowed by law.